Whether we are conscious of it or not, our skin is our friend and first line of defence. It literally keeps us together and stops us from falling to pieces. Skin can at times though can be problematic. It can cause us much pain and embarrassment with arrival of spots , acne, eczema or worse. Now I believe diet is normally the major root cause of such issues (and of course other factors) but it is not our only weapon. There are many different natural ways to look after your skin, like my rose water toner as a good daily treatment or for the rest of your body my coffee morning scrub can fight cellulite and roughness, plus many more natural remedies I am brewing up. Today I am going to look at how to fight blackheads and do a natural ‘deep clean’ of your skin. 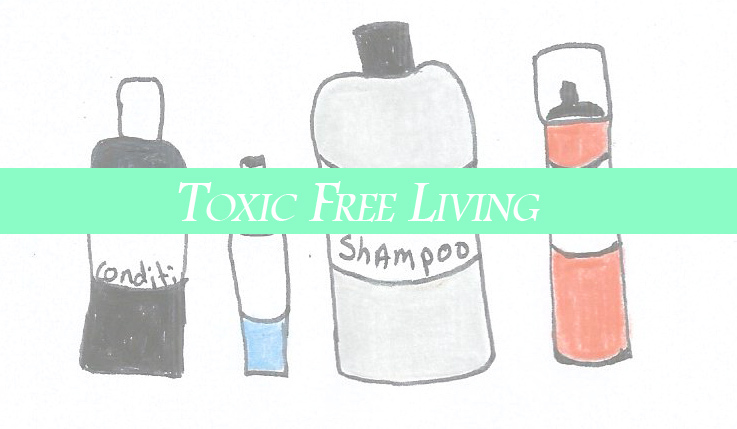 We live in pretty polluted environments meaning our skin comes into contact with quite a lot of rubbish stuff which can clog up your skin and make it a breeding ground nasties. Plus I am on a rampage to see if I can get rid of my own blackheads naturally- so I will let you know how this works. I have always loved the shop bought nose strips, despite the fact you feel like a idiot when wearing a big white bandage across your nose, as I just loved looking at all the gunk they pulled from my nose – it was so cool! I have realised though that they are probably not exactly natural or toxin free but then I stumbled across this effective alternative a few weeks ago. These homemade ones though are surprising subtle to put on and non girly so even you men out there can plonk one on (its made out of animal bones you know how manly is that?) It is simple, quick and really draws out any impurities in your pores which will helps leave your skin smooth, clean and naturally strong. Also I have very sensitive skin and these cause me no irritation – only natural goodness! Plus compared to shop bought nose strips these are so much cheaper! 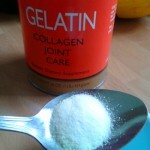 So why not buy yourself some gelatin, stick on a film and allow your skin become smoother, stronger and clearer. 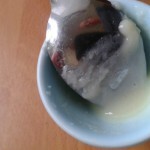 Measure 1/2 tsp of gelatin into a small microwave safe container. Add the 1.5 -2 tsp of milk and stir. Place in microwave for 5 – 10 seconds depending on power. You have to use it quickly as it has already started the setting process! No faffing! 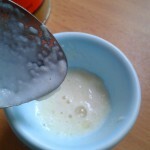 Apply it to your face in a even way using your finger, back of a teaspoon or clean make up brush. 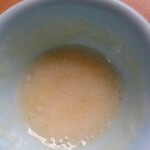 This is it on my whole face -try to avoid gloppy lumps – I didnt here! Leave for 15 minutes or until it is dry and tight, then find a corner and peel off. Rinse to remove any residue. This recipe can be used just on your nose, forehead or chin or over your whole face. Please note that due to the deep cleaning nature of this treatment you may have a small outbreak if you use it on your whole face, as I did when I first used it but that is just a sign of your body getting rid of horrible toxins. Also like all nose strips there is a mild level of discomfort as you peel them off but its so worth it to see all the gunk you have pulled out! I would not recommend this treatment to be done daily, more like once a week. If you have a severe allergy to milk best to avoid this as it could irritate your skin. Oh please send me your picture with trying this out it will help me to know I am not the only weird and wonderful one!